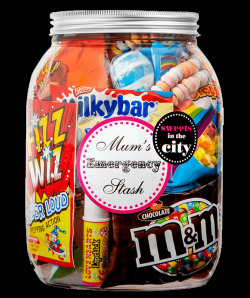 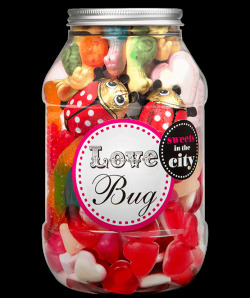 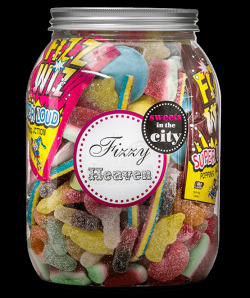 Get our Fizzy Heaven jar for a limited price - now just £8! 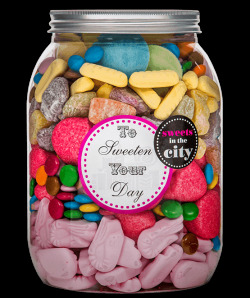 Sweets in the City: Sweet Gifts for Every Occasion! 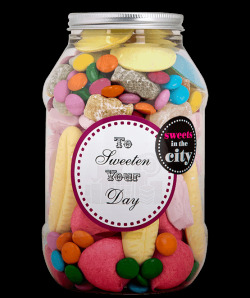 At Sweets in the City, we provide personalised sweet gifts that people love to receive. 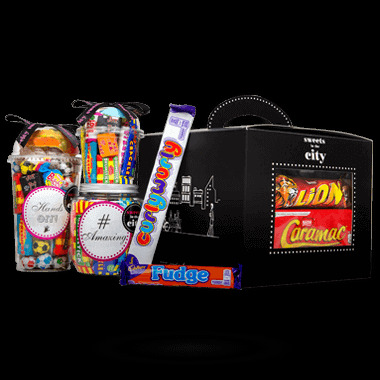 We take inspiration from everything that’s going on around us – from news and fashion to the buzzwords and hashtags that are trending from week to week. 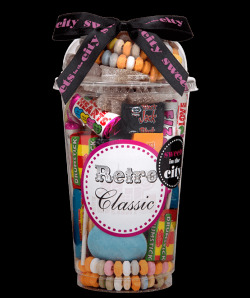 We add style, glamour and fun to any occasion with our beautifully-presented gifts. 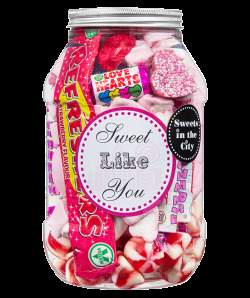 We love creating irresistible products with a personalised touch, and we are constantly working on new and exciting gifts to satisfy each and every sweet tooth. 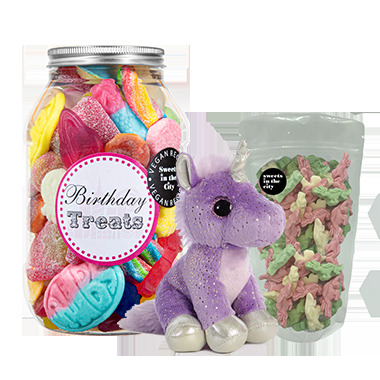 Our growth to date is thanks to the quality of our products and packaging, as well as the captivating combinations of colours, textures and flavours that we offer. 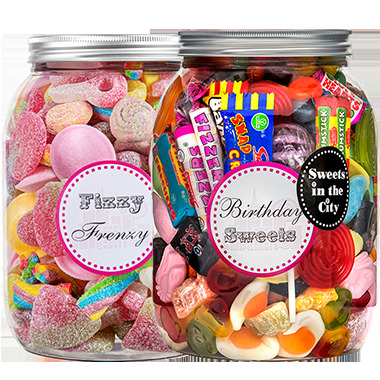 Founded by Sarah Lynn, 2017 winner of BBC’s The Apprentice, the company is now jointly owned by Lord Sugar. 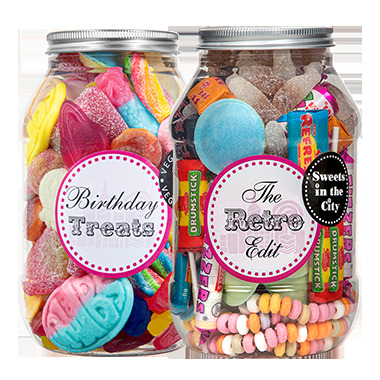 We hope you love our wide range of personalised sweets as much as we do! 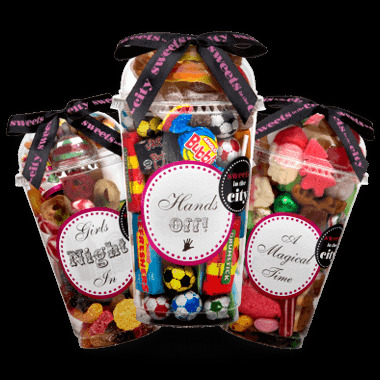 Sign up to join our society and receive monthly themed sweet boxes in the post! 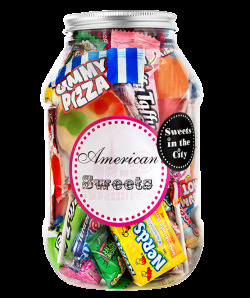 Subscribers get exclusives and limited editions not always sold online! 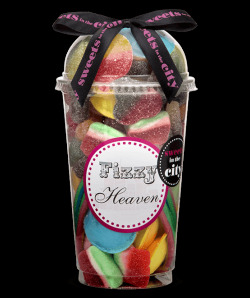 Choose from a huge range of favourites - jelly babies, flying saucers, foam bananas and much more! 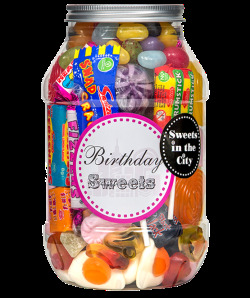 Apply for a wholesale account to receive volume discounts on our sweets!